Jump to photos Warming refugees? 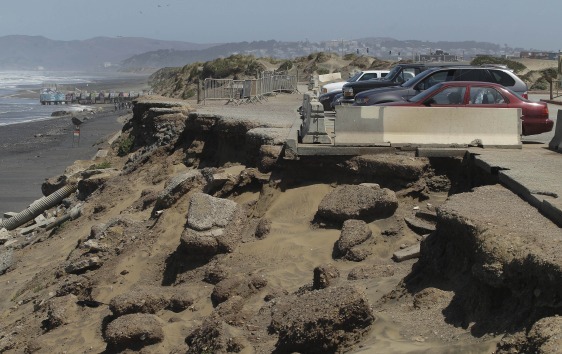 Coastal erosion eats away at the parking lot at San Francisco's Ocean Beach. In San Francisco, officials are mulling a significant retreat on its western flank, where the Great Highway is under assault from the Pacific Ocean. Right now, a beach parking lot that abuts the highway is crumbing into the sea just across the highway from the San Francisco Zoo.